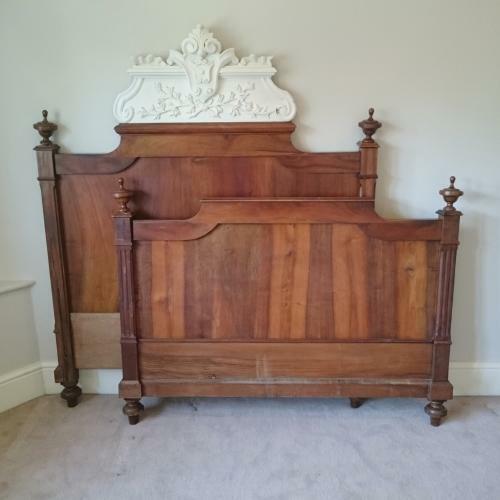 Antique French double bed with very decorative floral carved top to the headboard. This is a gorgeous statement piece that features finial's to each corner of the bed. This bed has been partially painted, but can be finished in any desired colour, subject to quotation. It's in a strong and sterdy condition, with a few minor knocks and bumps in keeping with it's age. The bedframe is supplied with a wooden slatted base.